Finally the time is here when I sit down to pen down my thoughts regarding the ideal captain for your fantasy football team, one last time for this season, one last time for a long time maybe.. Anyway lets get on with it. Alexis Sanchez (11.6) is having a slump in form in recent times which has raised the eyebrows of many a fantasy manager, but yet we rate him as the top choice for nominating as captain, as even during this lean period Alexis has ensured that he remains a goal threat to the opposition. Sanchez has registered an average of 4.6 goal attempts per game in his last four appearances, taken 2.8 Shots on target and released 1.6 key passes to his team mates during this period. These numbers make Sanchez an even bigger goal threat than Aguero. Before we move on to Aguero (our next choice for Captain), It is worth noting that Arsenal play West Brom, a team who have restructured well under the leadership of new manager Tony Pulis. However, West Brom have managed to allow their opposition an average of 18.75 Goal attempts in their last four fixtures which is a huge number for an average! 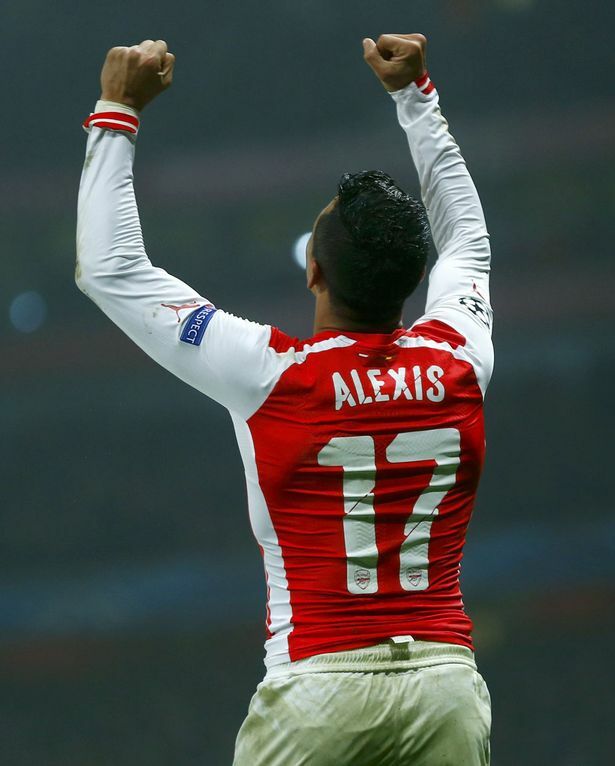 Any way, a good sign for Sanchez to regain his form before Arsenal’s cup fixture in the next week. Coming back to Sergio Aguero (12.9), this guy’s story is more about the form he has reflected in the recent games. with an average of 10 .5 points per game in the last four game, one would be wondering why he is not topping our list. Well, the answer is similar – his average is skewed because of that one game where Aguero scored a hattrick and gave 2 assists, earning his loyal fantasy manager’s a whopping 23 points in the process. Manchester City face Southampton this weekend which is a decent fixture for them. Southampton have conceded an average of 9.5 Goal attempts in their last four appearances, 7.5 of which were conceded inside the box – which is where Aguero predominantly operates! All said and done, this is going to be a tough and exciting fixture to look out for. Our last selection for the Captain’s place is Yaya Toure (10.7). Toure made his presence felt on the field last week was with a wonderful brace against Swansea city. his numbers don’t even compare with those of his counterparts, so I would not get deep into that. But last week’s performance was a reflection of what Toure is really capable of. This last selection is a pure gut feeling based selection so be advised. Such irony, the entire season I base my opinion on statistics and numbers, and I have to end it with a selection based on my sixth sense! Any way, those were my thoughts on who should be the captain of your team this last game week. As I get ready to sign off for the season, I would like to thank my team mates Kaka, Max and Manna and finally our readers for their support, comments, feedback. To be honest it was tough managing this page with all the other things happening in my life but at the end of the day I would still manage to find those 30 odd minutes to do a round-up of my thoughts from the research done in the previous week. The things you do for love, eh? 🙂 On a different note, I would like to inform everyone that I would not be continuing with this page from the beginning of next season as I am temporarily relocating in London (yay! ); a proper assessment of the possibility would be done later but as off now I bid adieu. Until next time folks. Happy footballing!